In folk-lore and fable, the donkey is a universal figure of fun. In mythology, he sports a colourful character between waggish rake and sacred libertine. The whole world over the donkey is the beast of burden, par excellence. But, in the Bible, the donkey holds a very special and honourable place. His character is rich in spiritual and ethical meaning, and his theological significance lies in his unique status in redemptive history.From burden-bearer to Christ-bearer, the humble donkey plays a glorious role in divine revelation.This, reference by reference, examination of the extraordinary status and role of the donkey is unique in its method, in its development and in its conclusions. 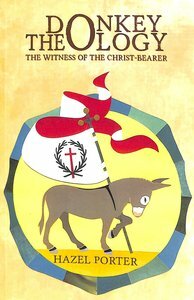 About "Donkey Theology: The Witness of the Christ-Bearer"